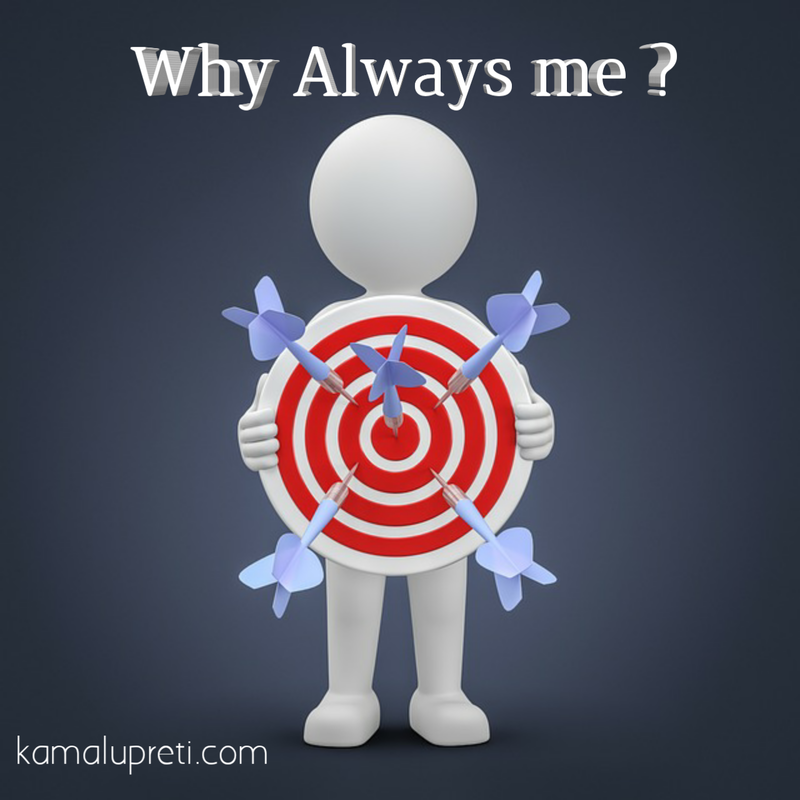 Answer of Why Always me ? My today topic is different from my previous topic because today I'll tell you the answer of question WHY ? In our society most of people do not get the answer of question Why ? So please read carefully this topic because today I'll tell you the answer of most asked question i.e. Why Always me ? There are lots of bad things also happen with me then I also ask to god that "WHY ALWAYS ME ?" so same like me you are also blaming the god and asked the same question like me..?? Let me tell you a story which help me overcome this problem. Hope it helps you too..
Father smiled and said ,"Have you ever watched movies like Spiderman,Batman,Taken & may be Airlift? Son nodded his head & said "Dad how these all are related to my question"
Father calmly said ," Have you noticed who suffers the most in these movies? Who goes around facing extreme pain and felling lost.Who goes around trying to fight all evils in order to sort his life and save himself"
In a energactic way Son replied "The Hero"
Father smiled and said "You have your answer son"
Son is not satisfied & request his father to give a suitable answer of his question..
Father calmly said that ..
God is really great he will always test you make you go through hardships because you are a hero a hero who has the strength to overcome every obstacle in life and can is the reason behind the happy ending. No matter what happens to you in your life you alone have the capacity to choose your response to it when you form the habit of searching for the positive in every circumstance your life will move into its highest dimensions this is one of the greatest of all the natural laws. 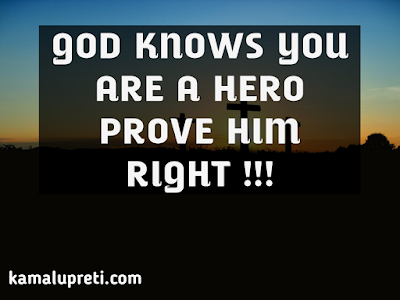 GOD KNOWS YOU ARE A HERO PROVE HIM RIGHT !!! Hope you like this story & get your answer on Why always You ? If you love this story, Give your suggestions in comment box & share this post with your friends too.. Subscribe to my newsletter to get life changing posts directly into your inbox. Subscribe To Get FREE Life Changing Lessons! I must abide by the fact that yes i will prove him right i can do and surely i will. Best of luck for your future endeavors. 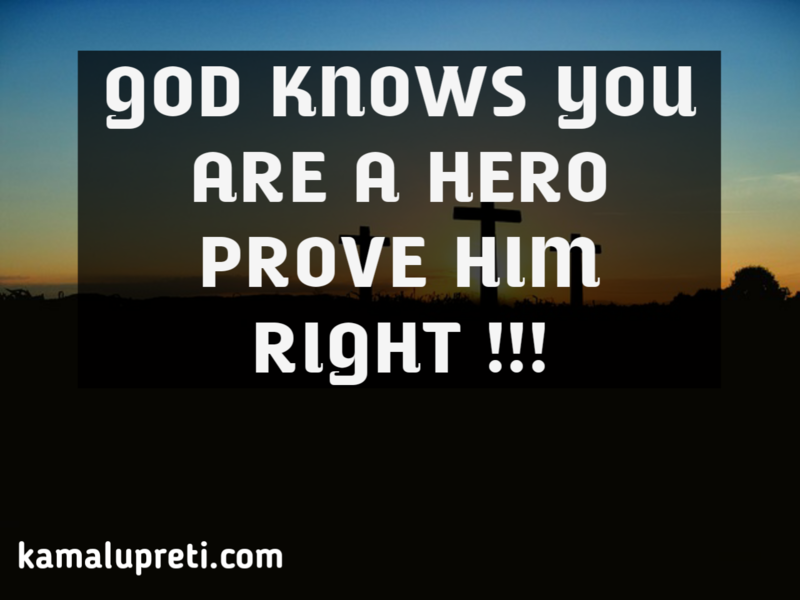 keep motivating me...and keep visiting.. Brother if you need any help so feel free to contact me. I really shocked that you got your answer by reading my blog..i hope you will get success soon..